On this day . 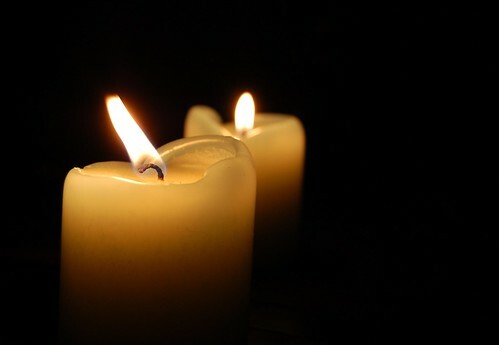 . . last year, our power went out for several hours after a violent thunderstorm rushed through the area. We had nothing better to do with our time than take crazy photos. We're gearing up for a weekend of cooking and baking. This week is a step-back week in our marathon training plans, so that means far less running than usual. Thank goodness, too -- because we've been falling super behind with all our blogging goals! 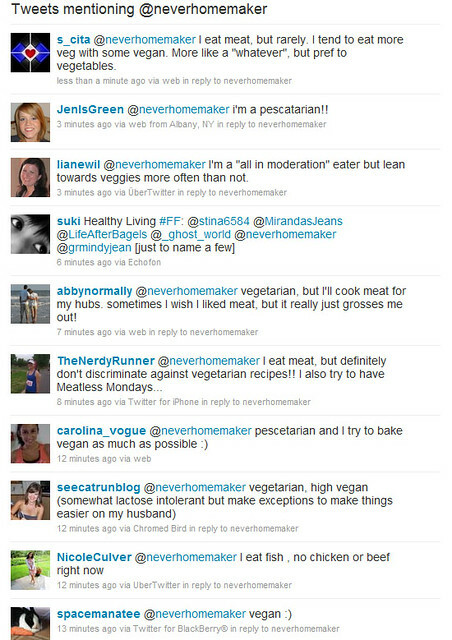 To help us, we asked people on Twitter today about their diets (vegan, vegetarian pescetarian, omnivore, etc.). Us? Well, Stephen's a pescetarian . . . and I'm a vegetarian who almost 100% of the time bakes vegan. Diet is an extremely personal choice based on a number of factors (including health, ethics, etc.). It was really interesting to find out how our readers fuel their days. We thank everyone for their participation in our informal survey. Now, if you haven't already, please leave a comment or email us (at neverhomemaker [at] gmail [dot] com) and let us know how/what you eat. We'll use this information to help us plan new recipes for the site!